Anas Al Zeer is the commander of Youssef Al Azmah brigade in Idlib. A Free Syrian Army group. He went missing on the 25th October 2013. 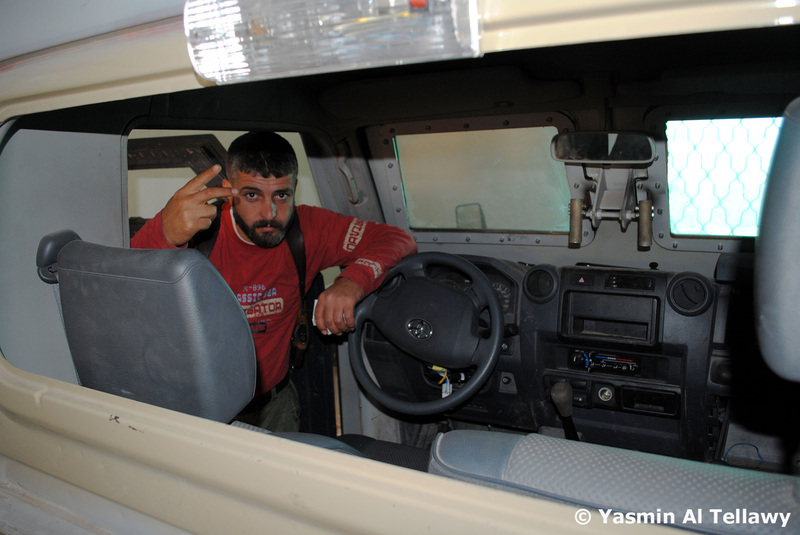 I first had the pleasure of meeting Anas early in 2012; he was among the first commanders who took me to Idlib & Aleppo on my first trip to the north region of Syria. Anas took good care of me, along with the men of his group. He showed me kindness, and a respect that can be hard to find being a female in a war-torn country. Anas introduced me to a wide variety of people, a mix of those within the war with conflicting views, yet all sat together to discuss the future. Over a dinner he took me to, Anas insisted I sat beside him at the table with all the men, while to more religious men in attendance were somewhat confused, Anas wouldn’t have it any other way. We continued to enjoy a nice dinner with everyone, the only problem was I was overfed by Anas and the others, to then have to eat all over again with the women. He gave me great respect at all times from near and afar. Anas was keen to show me the true Syrian personality. Anas showed me what many have shown me in Syria and surrounding, the beliefs of a true person of Islam. 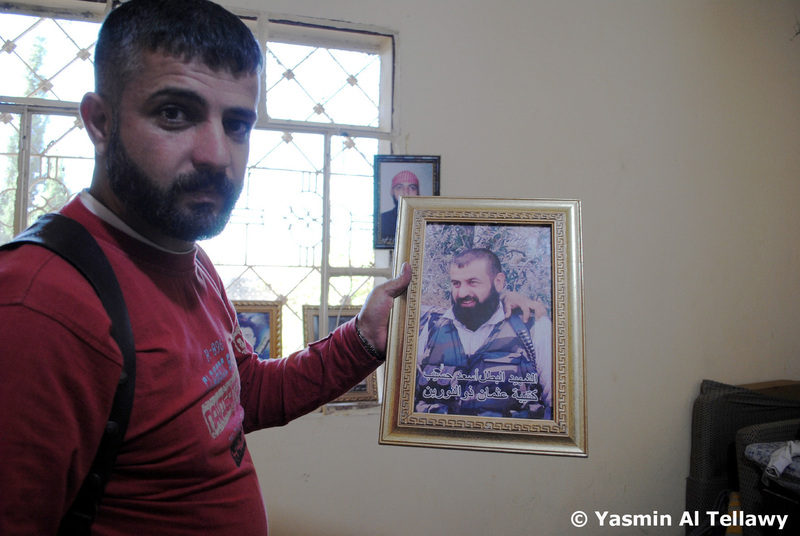 Anas was in the revolution of Syria out of a belief to protect those around him from a corrupt government. Anas believed in showing the truth of what was happening in Syria. Anas tried to ensure I stayed in comfort when with his brigade, and gave me a great feeling of safety when I was with his group. Laughter was shared time and time again, and we would have lighthearted arguments because he wouldn’t let me pay for things, nor would he take money from me when I was with his group, something that is rare within the groups of Syria now upon entering. 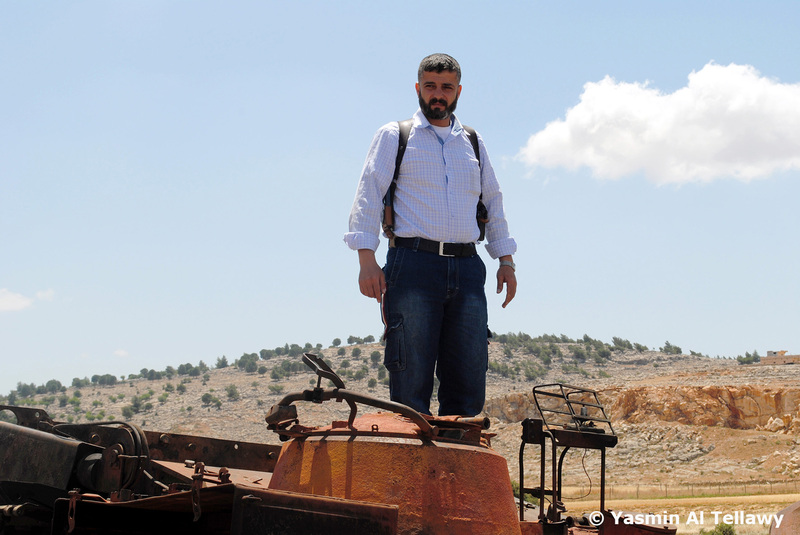 Later in 2012 I ended up in grave danger while in Syria due to someone spreading serious lies in an attempt to have me killed, lies that would get anyone killed in a war-torn region; an added danger being a foreign journalist. While in Aleppo there was a hunt for me, and my phone, Skype and who I was with was contacted by Anas continually, who heard the wrong doing and knew of the danger to me, he was very upset for me and wanted to help me to safety to ensure I got out of Syria on this occasion. I haven’t spoke about this situation, nor do I wish to go into the details currently, but I wanted to mention it because Anas took it upon himself to want to help me for no reasons past having respect for me in knowing I was there to help Syria as far as he was concerned. This was the character of Anas. Anas swore to help me in any way during a time I was a blank on what to do. I was kept safe on this occasion and hidden for some time to get out safely, while Anas took it into his hands to rectify the situation where he could so it would be known that the lie was indeed this and nothing more. This wouldn’t be the only time Anas would assist me in safety thereafter. Anas was the first person to take me to Aleppo, long before it became a haven for journalists to be, long before anyone would dare to go to Aleppo while it was government controlled primarily, and long before journalists saw a story in the region to want to go. Anas would take me safely and ensure I would not encounter danger, giving his life to ensure nothing would happen to me, and I knew he would mean it and proved himself many times with this loyalty. 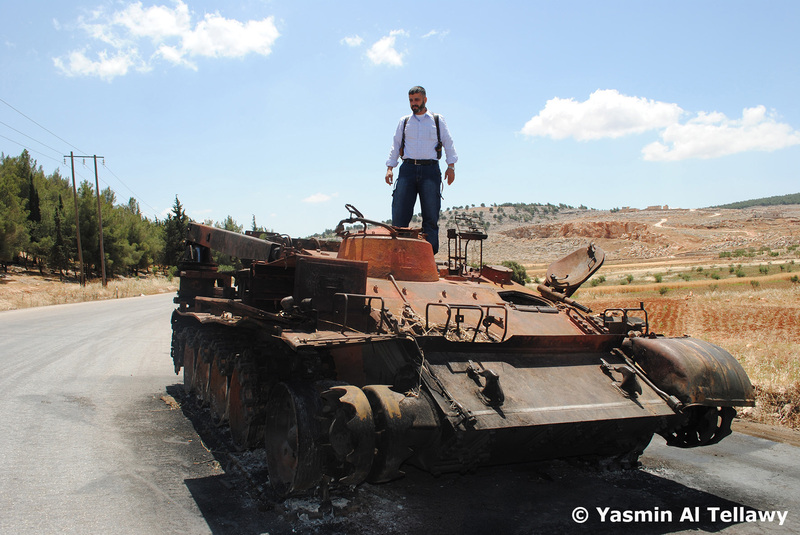 A loyalty he believed in showing what was happening in Syria, wanting the world to see what was happening in his country; a trust he held in me to show the world what was happening in the country. He contacted me often and would check if I was ok knowing of my travels in other regions of Syria, we would chat via Skype about the situation in Syria and I always saw the man behind it all; a man with a heart and a man with a conscious. A man who had to become a commander; who had to become a leader, a man who was a merchant living his life quite happily with his wife and kids until a threat came to his village that he felt he had to protect his family, those around him and beyond. In 2012, Anas was injured badly and rushed to Turkey for treatment, I got a call that brought me to tears thinking it was time to say goodbye. He had been shot a couple of times in the leg while at a battle. During his recover he would chat to me on Skype and comfort me in my sadness for him, I was unable to visit and hoped to soon but was in the south region on Syria when it happened and by the time I was able to visit Turkey he had insisted in being carried back to Syria to recover and said his men needed him there along with his family so he would continue to recover there. It is hard to explain sometimes the bonds that grow fast within a war. There have been people I have spent a day with, yet feel such a bond with that can never be explained. I have been lucky to spend much more than a day with Anas over different periods of time, and have been very thankful to him and his group for the safety provided to me. He would joke with me that we should sell each picture for a dollar and share the money and how we could make a fortune out of it as he laughed with the young men around him. Anas showing some of the men lost in battle from his brigade. I would see the sadness in his eyes when other groups didn’t share things, arguments between groups and all these other issues the war in Syria brought over time. He liked to joke and would be frequently laughing with the young men around him, and have tears with great pain from his close friends he had lost as he proudly kept their pictures on display where he could. Children adored him as he would laugh with them and give much affection as we traveled around. 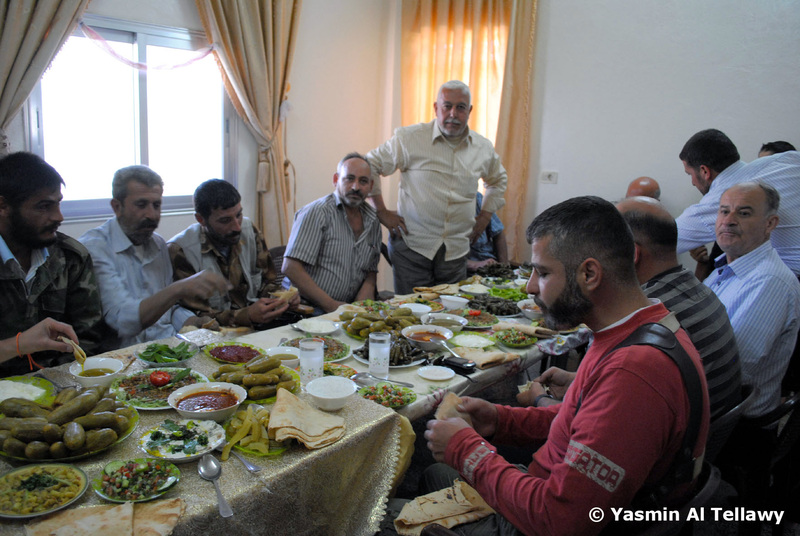 There was even a bond within the men of his group that is not so common in Syria with the groups of such friendship, respect, loyalty, and love. I last spoke with Anas at the beginning of October 2013. Later into October 2013 Anas was abducted. What exactly happened is yet to unravel. 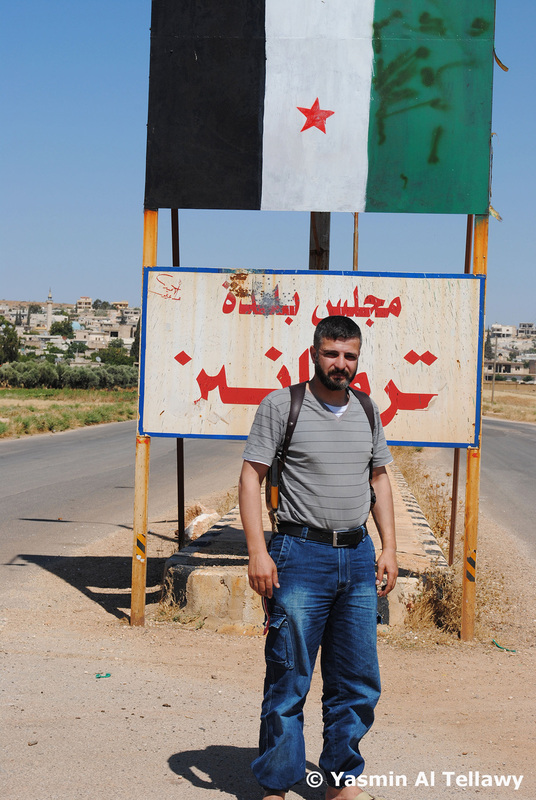 Anas was in Idlib; planning to go to Sarmin, he had to go to Ma’arrat Misrin first, this is where he was last seen. A friend of Anas asked him for coffee, Anas replied that he had to go to Sarmin, and would come and have coffee with him when he got back. This is the last that has been heard of Anas. Anas has been reported as kidnapped from Sarmin. He was driving a black Kia Sportage; the two men with him also vanished along with the car. Nothing has been heard, or seen of them since the end of October when they went missing. All that is left is a trail of heartache. The point is that nobody goes missing, let along three people and a car with nobody having information about the incident. There are hundreds who have been kidnapped by ISIS and others, not only are foreigners a target for such groups. Anas was a strong believer in the revolution, the core meaning of the revolution of Syria and stood by these beliefs, he didn’t partake in the general corruption most groups fell into, he tried to do things right, which also led to him being a greater target. He would make attempts to stop the bad groups, bad smugglers and all else that comes with a complex war such as Syria. He stood by his beliefs. Anas was a merchant prior to the troubles in Syria, A young man in his early 30’s, he had a happy life with his wife and three young children, along with his brothers, sisters & parents. A loving, educated family that I have been lucky to get to know. If you have any information about Anas please share what you know. Let Anas go home to his loving family, to his young children who miss their father, to his heartbroken wife, to his family who are living every day in pain because they do not know what has happened to Anas. I don’t know where you are right now Anas, but I want to thank you for everything always and will go as far as thanking you for the future, because I believe the time will come once again when you will assist me to do my job in Syria and do what is right. I would love to share much more about Anas and my time with him & his brigade but I am unable to at this stage, but hope to in the near future. 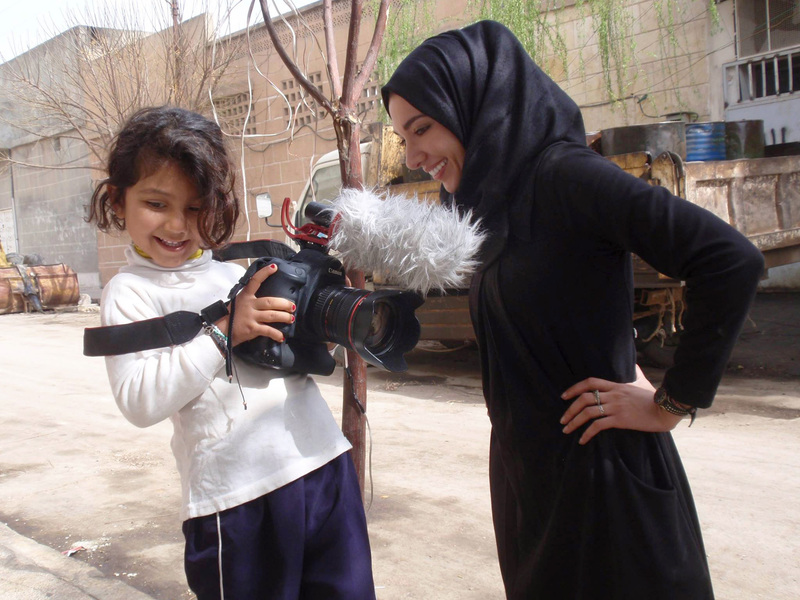 There are hundreds of thousands missing in Syria for various reasons, and more so recently so many kidnapped, but each had their own story, each a human in our world and each as important. We all have different experiences with different people in life, this is just a small part of my experience with Anas and what I saw in him. 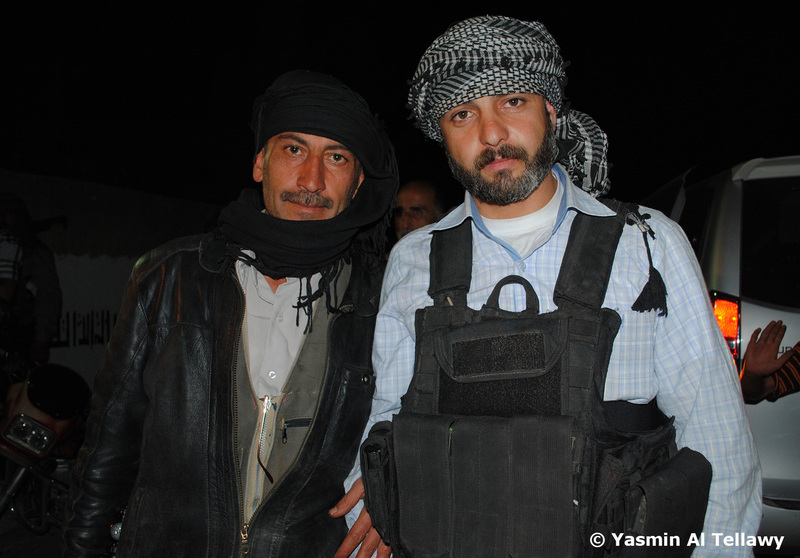 Anas assisted many journalists who came to Syria to show what was happening in the country. Anas has a good heart, a kind heart, a true heart in his beliefs. Reports lead to ISIS / ISIL for the abduction of Anas Al Zeer. He is possibly held in Aleppo (Halab) or Idlib. Any information you may have would be greatly appreciated.